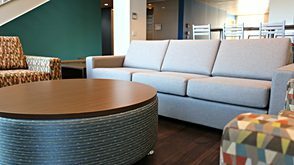 RT London is excited to announce that its popular Doozie lounge collection has expanded with the addition of two new shapes—Brick and Block—both available with a laminate top option. These new shapes interact with the other pieces to create endless configurations and further enhance the modularity feature of the line. This playful collection has been a part of the RT London lounge offering since 2015 and has been very well-received—especially in the K-12 and library markets. 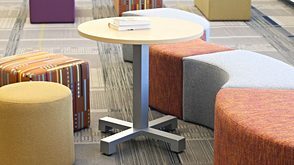 Doozie also plays well in universities, corporate lobbies, children centers and informal collaborative spaces, whether it be for individual or group settings. 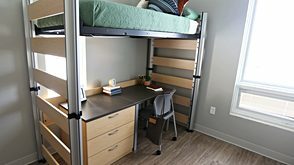 RT London is a major player in the Residence Hall furniture market. 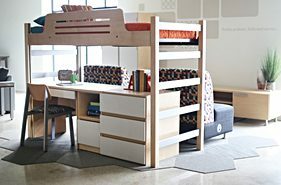 With over 400 college and university customers, RT London is designing and building products for the future. Expanding outside their core market, RT London is also working with architects, designers and dealers to fulfill the needs of Contract, Government, Human Services and Lodging environments. Doozie’s new shapes will make their first appearance at upcoming higher education shows such as NWACUHO (Portland, OR) and SEAHO (Jacksonville, FL). 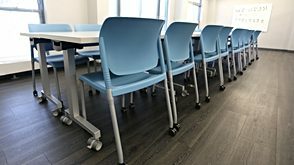 Expect to also see Doozie in the RT London booth at NeoCon (Chicago) June 2019.